In the wake of the Rolf Harris trial, which resulted in a guilty verdict and a prison sentence of nearly six years, it’s interesting to ask the question what purpose does a prison sentence serve? Punishment or retribution – society wants to see those who commit serious crimes punished by being deprived of their liberty. Victims in particular may want to see perpetrators serve a sentence in custody; victims frequently comment that their own ‘sentence’, as a result of what they have suffered, lasts for life. Deterrence – it is reasoned that the threat of an automatic prison sentence for specified crimes should make others think twice and put them off committing such crimes. High profile offenders, like Rolf Harris, cannot be seen to get off lightly and are made an example of. Reform and rehabilitation – the idea is that those in prison might reflect on past actions, feel remorse, achieve higher literacy and education levels, conquer addictions and leave prison better able to re-enter society and play a useful role. Safety and protection of the public – the isolation of criminals from society in a secure environment means they have no further opportunity during the course of their sentence to cause harm to others. In Rolf Harris’s case, the main purposes of the sentence must be the elements of punishment and deterrence. Because of his age, the likelihood is that he might die in prison and he must be a prime candidate for suicide watch. Some might feel that the trial and its attendant publicity, with the loss of his reputation and the stripping of honours gained, constitute punishment enough for such an old man, but it’s doubtful that any of his many victims, several of whom have testified to the long-lasting effects the abuse has had on them, would be satisfied with anything less than a term in prison. Certainly, the fact that he is incarcerated ensures that the public is protected from any further harm, particularly as his offending appears to have persisted throughout his adult life. Would the sentence deter others who in positions of power or authority have thought themselves to be invulnerable? Clearly, the climate has changed and victims are more likely to come forward and be believed, leading to prosecutions such as Max Clifford’s whose arrogance did not impress the jury. Convictions leading to prison sentences are now much more likely and this must act as some kind of deterrent to those who previously thought they were not likely to be caught. The question of reform and rehabilitation is another matter. It may be the case that in days gone by prisoners could get an education or learn a trade or otherwise equip themselves to become useful members of society when leaving prison, but these days, with cuts in staffing and facilities of all kinds, those outcomes are less likely. There is help for those addicted to drugs and alcohol, but the evidence is that it is patchy. In addition, it is well known that paedophiles and other serial abusers are notoriously difficult to ‘reform’, largely because they do not perceive themselves to be doing anything particularly wrong. There are those who acknowledge the error of their ways, show remorse and dedicate themselves to helping others – the cases of Jonathan Aitken and John Profumo spring to mind. But many offenders are handicapped by low educational achievement, low literacy levels and mental health issues which hinder progress in a poorly resourced environment. 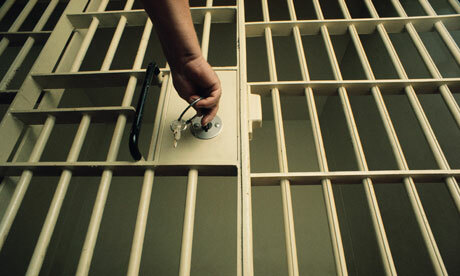 One of the difficulties is that the prisons are full of too many people serving short sentences. This has led to an unmanageable increase in numbers which makes constructive approaches to the treatment of prisoners impossible as the limited resources are spread too thinly. If lesser crimes, particularly non- violent ones, were dealt with by other penalties, then prison resources could be concentrated on more serious offenders to encourage reform and rehabilitation. One penalty which has been introduced in recent years is that of curfew monitored by electronic tagging. Where there is a suitable address, this can be imposed for appropriate periods such as from seven at night to seven in the morning every day, or for the whole of weekends. It constitutes a deprivation of liberty which can serve as punishment and deterrent while allowing the offender to maintain his or her family life and job if he or she happens to have one. The other huge advantage is that it is a system which is cheap to run in comparison with the exorbitant cost of keeping someone in prison.